Frank O’Dea’s story of triumph over adversity in business and in his personal life inspires audiences around the world. Against all odds, O’Dea went from being a homeless panhandler to a successful entrepreneur and a founder of The Second Cup chain of coffee stores. He went on to launch a number of other innovative and successful businesses and international not-for-profit organizations. His message resonates with all audiences, not just those who are looking for hope for a better future, or want to learn from his example. It’s a rags to riches Made In Canada success story that will warm your heart and inspire you in ways you might not expect. Among his many honours, O’Dea is an Officer of the Order of Canada and holds honorary degrees from two universities. His current ground- breaking projects are in the area of social entrepreneurship, using for-profit enterprises to create social benefit and change. Frank O’Dea’s story of triumph over adversity in business and in his personal life inspires audiences around the world. Against all odds, O’Dea went from being a homeless panhandler to a successful entrepreneur and a founder of The Second Cup chain of coffee stores. He went on to launch a number of other innovative and successful businesses and international not-for-profit organizations. His message resonates with audiences who are looking for hope for a better future and want to learn from his example. As a young man, O’Dea was a homeless person living on the streets. At the age of 23, he began fighting back and overcoming the barriers that had been closed to him. Within a few years, he co-found The Second Cup, and later went on to co-found Proshred Security (now Iron Mountain) and other businesses. In the not-for-profit arena, he co-found Street Kids International, an organization developed to help homeless children in third world countries, and the Canadian Landmine Foundation, an organization that raises funds for the dismantling of minefields around the world. Together with the United Nations and world figures like Colin Powell and Sir Paul McCartney he launched an international fundraising event “Night of A Thousand Dinners” that was taken up in 29 countries around the world. 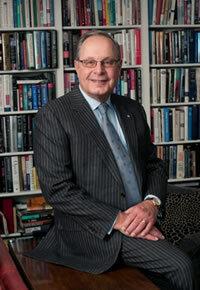 Among his many honours, O’Dea is an Officer of the Order of Canada and holds honorary degrees from two universities. His current ground- breaking projects are in the area of social entrepreneurship, using for-profit enterprises to create social benefit and change. These include a youth employment program across Canada, and developing sustainable affordable housing in Brazil, using Canadian technology. O’Dea is also the author of two books: his memoir When All You Have is Hope and, in response to the demand from people who have reached out to him for help in dealing with their challenges, his newest book: Do The Next Right thing, Surviving Life’s Crises. Using humour and his famous warm personal style, Frank O’Dea, Canada’s serial entrepreneur, who is best known as a founder of The Second Cup, demonstrates the power of Hope, Vision and Action by using his own story as a real-life example. His audiences are captivated as he describes his early life, panhandling on the streets for nickels and dimes. They marvel as he recounts how he was able to break out of that life and, within a few years founded the Second Cup, the first of a list of successful companies and charities that he would eventually found. Audiences learn how Frank prevailed by relying on Hope, Vision, Action whenever he was faced with dark times, personally and in business. They will also learn how they can apply this simple formula to their own personal and business lives. This is a truly motivational story that touches and inspires audiences from all walks of life. This is a speech for CEOs and senior management of organizations in highly constrained industries where margins are under huge pressures. Creating a game-changer is all about new thinking and new applications in established industries. Henry Ford did not invent the automobile, Samsung did not invent the cell phone and Second Cup did not invent coffee. What they all had in common is that they created new applications for existing products and services and completely changed the game in their industries, dramatically outpacing their peers. O’Dea, who has created game-changers in several industries, shares with his audience how any organization can outpace its peers, using excellent examples from his own businesses and from others, such as Casella Wines and Bosch Chemicals. This is a business strategy that was dubbed Blue Ocean Strategy and was first documented in a book by the same name by two professors at INSEAD University. O’Dea leaves his audiences with the blueprint on how they can find a “Blue Ocean” for their own organizations. Frank shares with his audience how he started his various businesses. First, the engaging story of the early years of the Second Cup gives his listeners the inside story on the growth of a Canadian retail landmark. Then he talks about some of the challenges he overcame in starting Proshred Security, a document shredding service, today a national business stretching across Canada and into the USA and Europe, but one that his potential clients in the early days didn’t even think they needed. Bringing his entrepreneurial spirit to the not-for-profit sector, Frank’s audience will hear about the serendipitous meeting that became Street Kids International, and how the War Child (Canada) came into existence, and how a late-night phone call from the Minister of External Affairs became the Canadian Landmine Foundation. Tying all this together with his view on the three fundamentals that made all this work for him, Frank leaves his audience with fine examples of how far one person can go, and he provides a roadmap on how to get there.